The article below is filled with excellent resources. Definitely worth sharing. 5G will also be added to existing 2G-4G towers. Wireless investment subtracts from maintenance of copper phone lines, which work best during power outages, and more secure, long-lived FiOs. 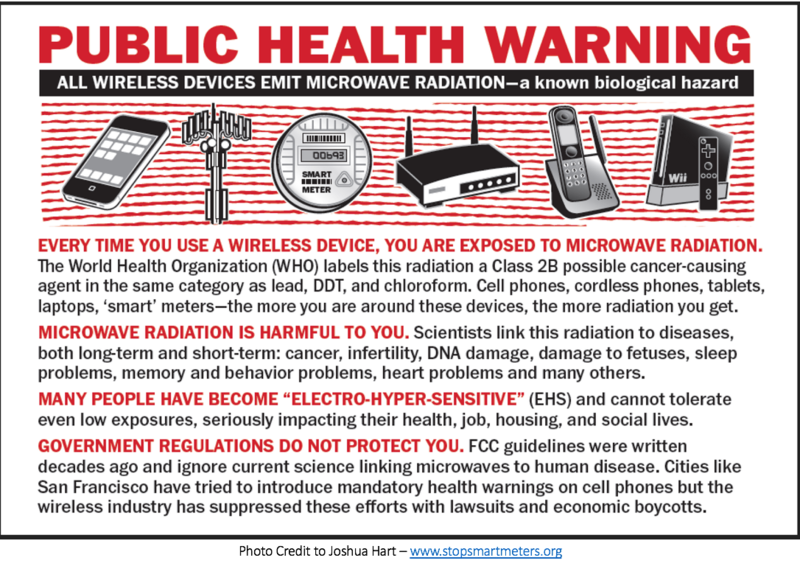 In 2011 wireless was classed as a Group 2B “possible human carcinogen” by the World Health Organization. Studies since confirm brain, cardiac, reproductive & glucose disruption, antibacterial resistance, reduced soil fertility, birth defects, etc. Some antennas may be disguised, but 5G will still pose risks to bees, birds, and other life .